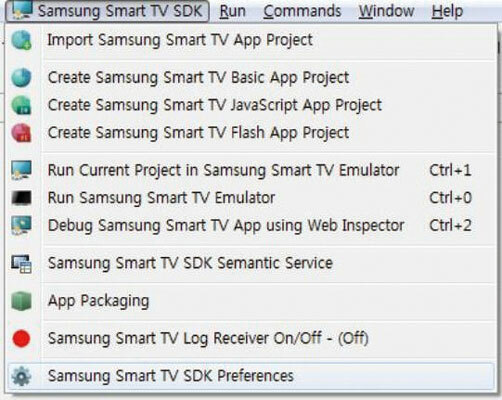 Select the Samsung SmartTV SDK top menu of the Eclipse. Select the menu to open the next window. 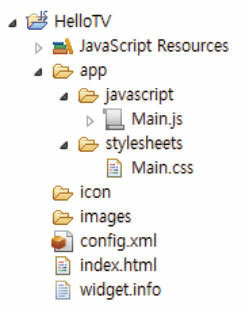 The project name, path, and application resolution can be entered in this window. Click the Finish button to finish creating a new project step. 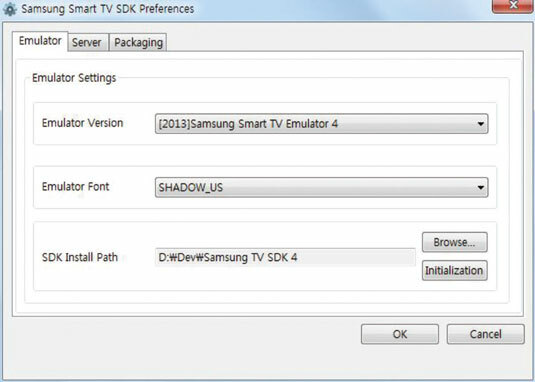 Select the Samsung SmartTV SDK Preferences submenu from the Samsung SmartTV SDK top menu of the Eclipse. 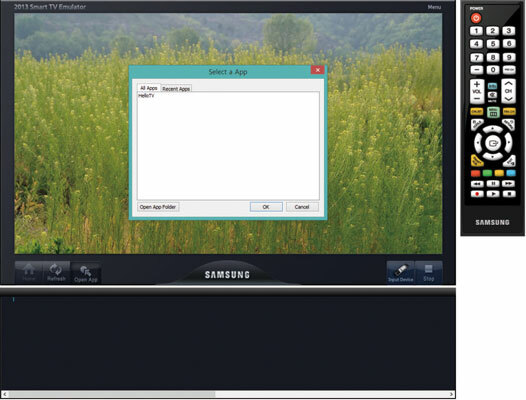 Before testing to see if the first project will run, you need to set a path for an Emulator to run the application. Select the Emulator tab and configure the Emulator version for the Eclipse project. This function allows testing an application in various TV models. In addition, the Emulator Font option allows customizing display text font for the Emulator. Configure SDK’s installation path at the SDK Install Path option. Normally, the correct path is already entered as the default, but manual configuration is necessary in some systems. An Emulator is needed to test a project. 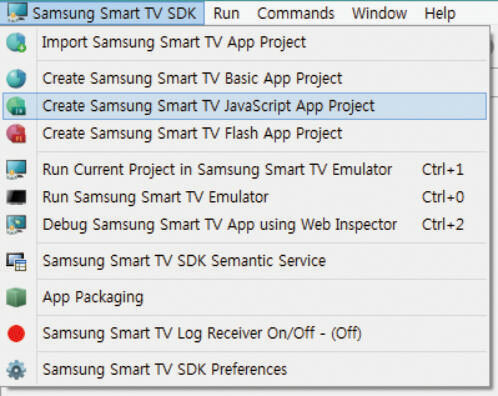 Select the project in the left pane’s Project Explorer, and click the Run Current Project in Samsung SmartTV Emulator submenu in the Samsung SmartTV SDK top menu of the Eclipse. The Emulator will then run the project. 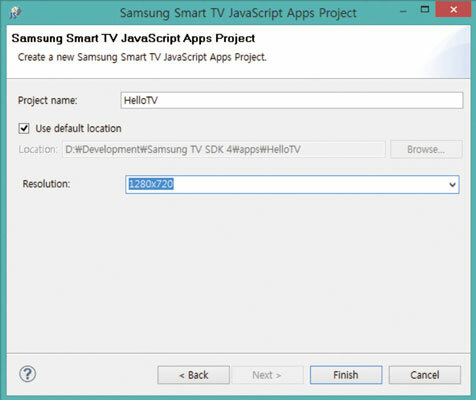 Note that there are two options, the Run Current Project in Samsung SmartTV Emulator and Run Samsung SmartTV Emulator submenus under the Samsung SmartTV SDK top menu. The first one runs the currently selected source code, and the latter opens up on its own. The latter option requires manual selection of a project to execute it.